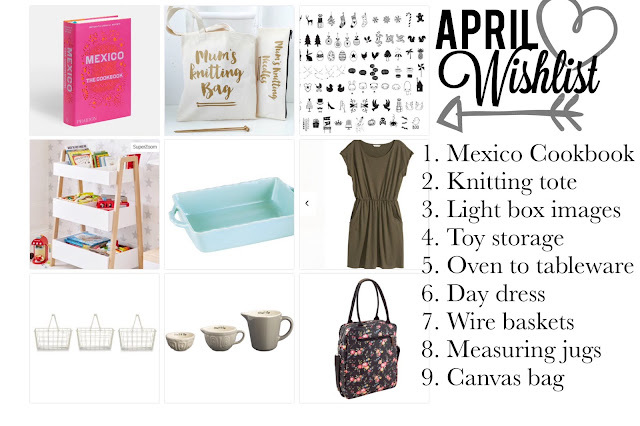 Yes I have spent more time window shopping this month - adding all these things to my in my head if we win the lottery wishlist. I have a lot of cookbooks (which I am aiming to use more!!) but its like an addiction to me and I spend a lot of time browsing at new ones. I stumbled across this one on Amazon - Mexico. Me and the other half love Mexican food but the sum total of my actual cooking of Mexican food is tacos and fajitas. This book lok fab and covers a real cross selection of ideas, flavours and ideas. So I am swooning over it. There are others in the range which may be filtering into my wishlist I am sure. It drives my husband up the wall but I love a bag - not just handbags, shopping bags, totes, bags for lives -and this one popped up the New in on Not on The Highstreet (which I will admit I browse, for fun) What more would I want but a tote bag, with gold writing and says "mums knitting bag" yup -i'll take it. The rather talented Kelly Connor Designs - I am loving her make up bags too. We got one of the on trend light boxes about a year ago now while on a day trip to Brighton. Since then they have been cropping up everything and this range of additional images to be used in conjunction with it I am loving!! Seasonal images yes please - cute little bunnies and christmas trees - that's it i'm set for the year! These ones are sold via Not on The highstreet through Idyll Home. Oven to table ware is another love of mine. Mainly as I dislike washing up so anything which is one pot I am on board with. This lovely pale blue one popped up on the Tesco Instagram feed and I actaully swooned - the lovely little details on the edging and the handles. I'm pretty sure my husband would blow his top if I bought anymore right now. This whole Wild Garden range from Tesco is beautiful - perfect for Spring/Summer. Being a busy mum of two and working means my wardrobe is a bit haphazard. From work dresses and skirts to jeans and loose tops. With the (hopefully) warm weather coming I am the on the look out for outfits and pieces to work. Maxi dresses are an obvious choice but I like te look of this loose t shirt dress. Dressed with trainers and a big wrap would work for day trips with the kids, then swap for strappy sandals and some gold hoops I think it would work for dinner and drinks. The colour would make it workable with neutrals or some pops of bright colours. This is from H&M which makes it really affordable. I am always on the look out for storage, pretty boxes and baskets or places I can hide the rubbish. IN the recent Asda home magazine I picked up in store I saw these wite baskets. Really affordable and look like a good size for chucking in the post, bits and pieces from the kids or stocking with tea bags and coffee sachets. I have a lot of kitchen stuff, I know. But I have really been eyeing up these ceramic measuring jugs from Mason Cash - how cute is the little jug one. I know I really don'y need these but man or man that does not stop me looking! Finally - now this would be a huge splurge for me but it seems really usable in size. I will have to add this to the potential birthday list (which is still a few months away but good to be prepared) I was really taken by the style of this Cath Kidston. I love this brand and this Rose pattern is so pretty. The style of bag looks like it could work for a work bag or a daytime bag with the kids. Big enough to chuck in bits and pieces for them still, so this is now firmly in my A girl can dream category. Happy window shopping and wishing. 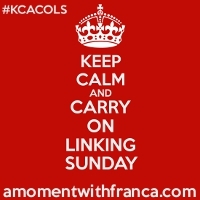 Linking up with #TheWishlistlinky with MummyLaLa and Hello Beautiful Bear. I love the lightbox images! I've wanted one for ages, we are so behind the times haha ;) My blogging friend told me that she got hers from The Range for under £15 so I'll have to get over there ASAP. I think they are fab! Also loving the Cath Kidston bag and the toy storage aswell together with the ASDA wire baskets. I love reading the George Home catalogue, they do some fab kitsch stuff and it's so cheap! I could buy the everything! You've picked some great choices. I'm completely obsessed with light boxes at the moment, they are everywhere and I think they are fantastic! They are currently on my 'to-buy' list along with some additional images like they ones you've chosen. The storage from Great Little Trading Co. is also on our wishlist, I love it. 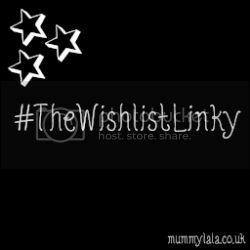 Thank you for taking part in the April #TheWishlistLinky, apologies for my extremely late comment.